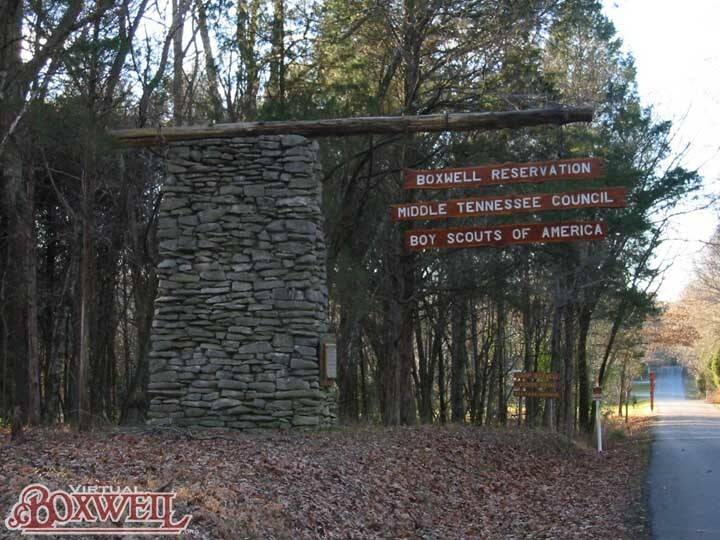 While the primary purpose of most Scouts coming to camp is advancement, Boxwell is by no means a "merit badge mill." 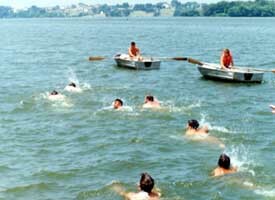 Life at camp has many interesting opportunities and is in itself a unique experience. 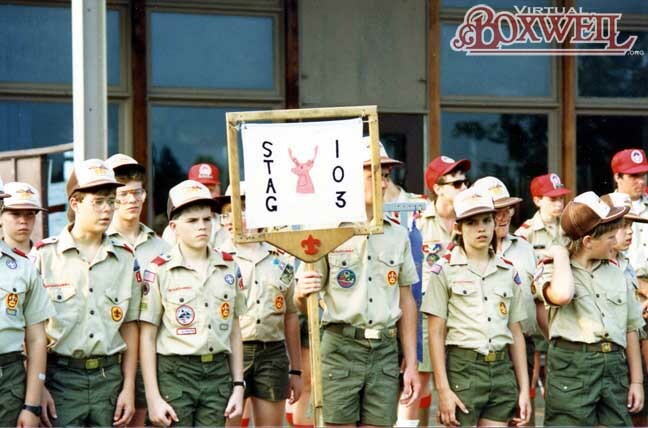 Beginning on Sunday when a Scout enters camp, he leaves behind the world outside. 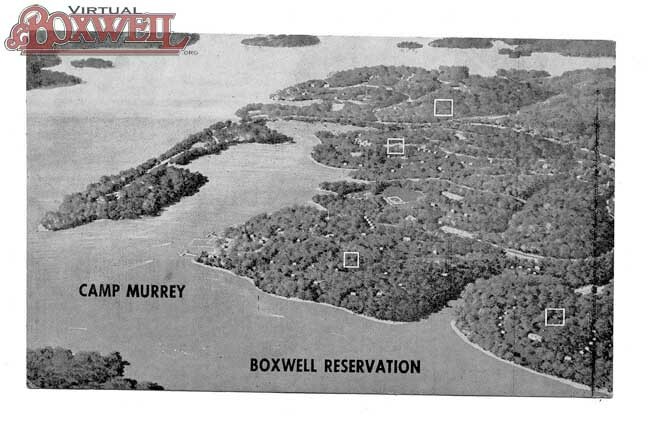 He will immediately be hit by that special aroma of cedar trees and lake water that permeates Boxwell. He has left school behind; this is camp--something different. 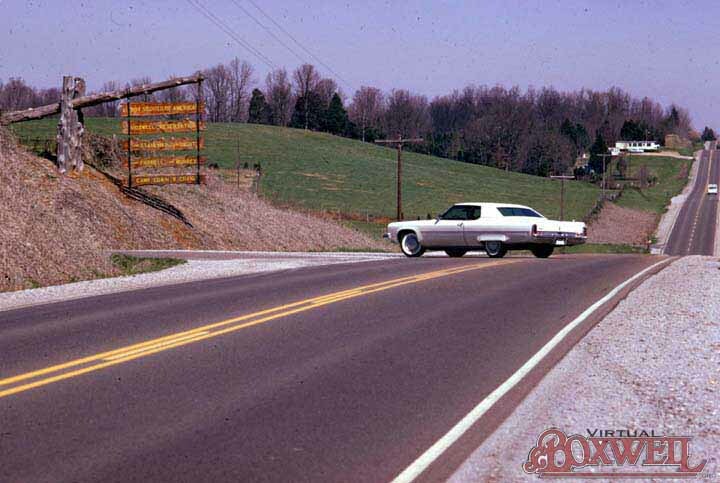 Each day holds something different for the Scout. While everyday he will undoubtedly be working on advancement of some variety, there is also ample opportunity for socializing, games, and outdoor activities. 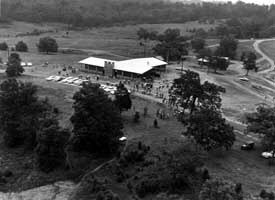 A Scout may not appreciate or understand some of the things that are going on around him, but a Scout camp is a unique place. Yes, it is an opportunity to get merit badges or skills in a way that cannot easily be done at home, but it is more than that as well. 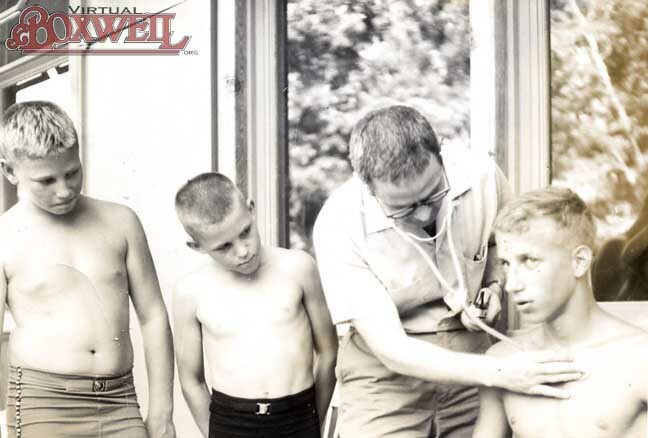 From its earliest days, Boxwell has endeavored to be different from the routine of the outside world. 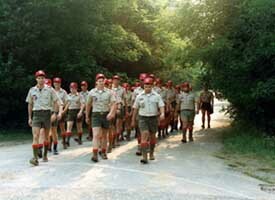 It is not a school for Boy Scouts - it is a camp. Thus, it handles things differently from the rest of the world. There are no "classes" here - instructional sessions are mobile and hands-on. Meals are more than just a time to eat. Evenings are more than just a time to do homework and sleep. 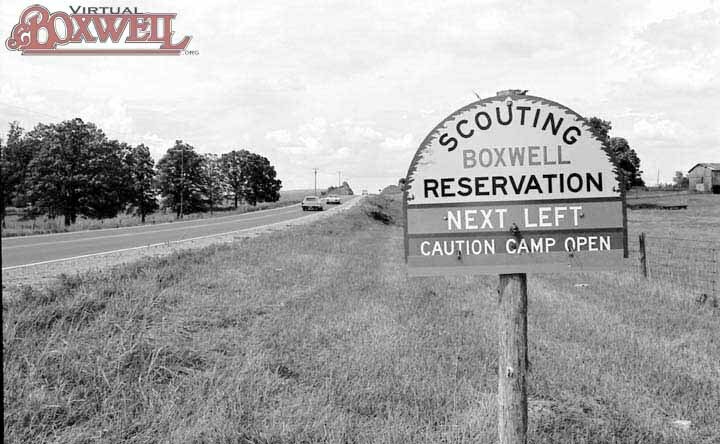 Boxwell is a unique camping experience. 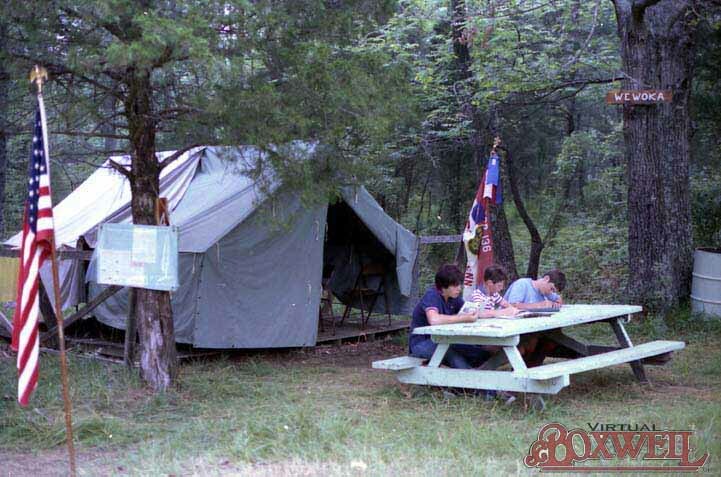 Before merit badge sessions, after the sessions, in-between the sessions, whenever, it seems like every free moment young Scouts have is spent at the Trading Post. 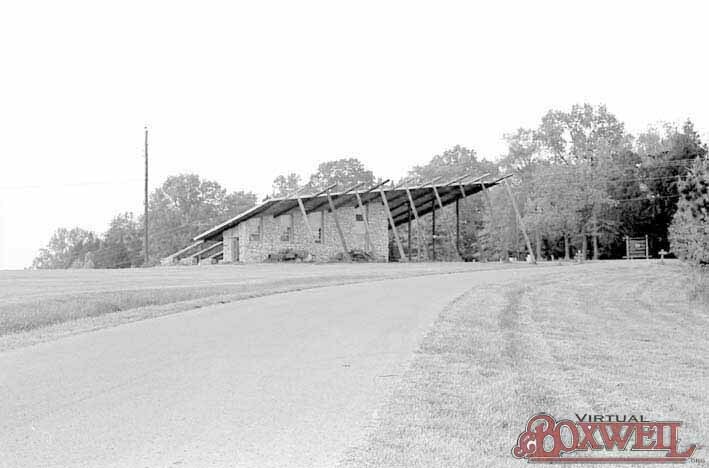 The Trading Post is a great meeting place during the day for Scouts to get together and socialize, play simple games, or work on simple projects like Leatherworking or Basketry. But the Trading Post is also the place where Scouts buy stuff. Among the most the obvious purchases are colas, candy and merit badge material. 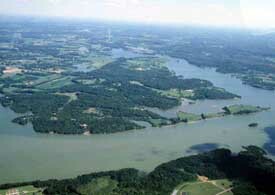 However, there are other choices as well. 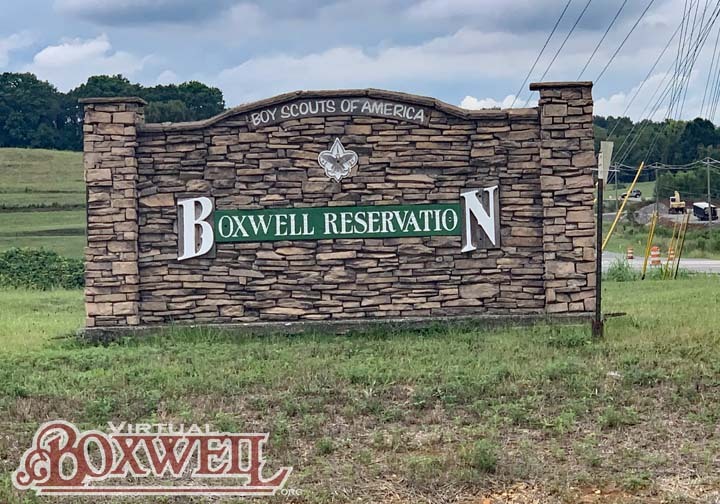 The Commissary has a wide range of Scout and Boxwell related items to engage Scouts in the "away from home" experience. 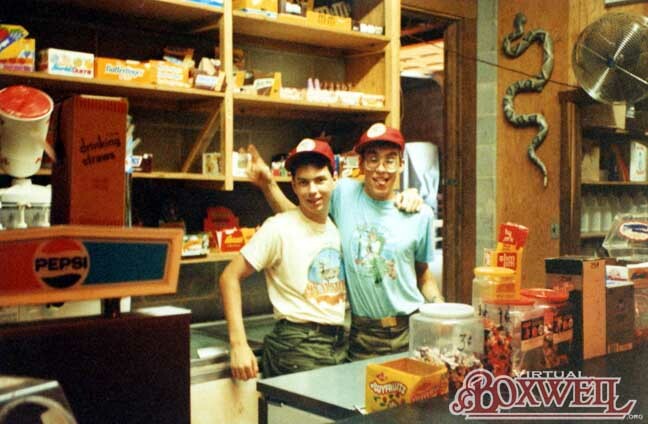 Boxwell t-shirts are among the most popular items bought at the Trading Post. Every year the design and color changes. 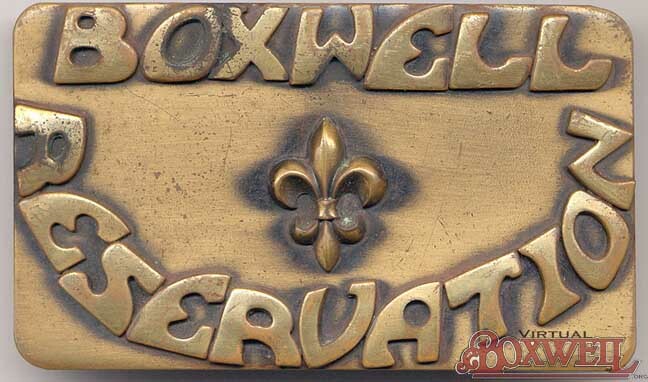 Sometimes the design is Boxwell related, sometimes it is just a general Scout design. 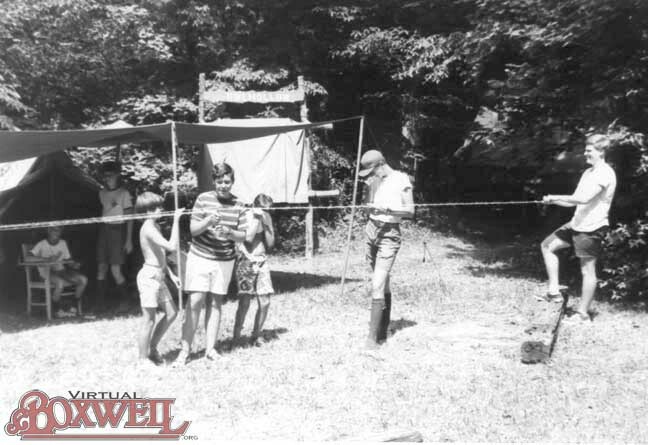 The shirts are a great way to say "I've been to Boxwell and survived on my own" - a core element of Scouting. 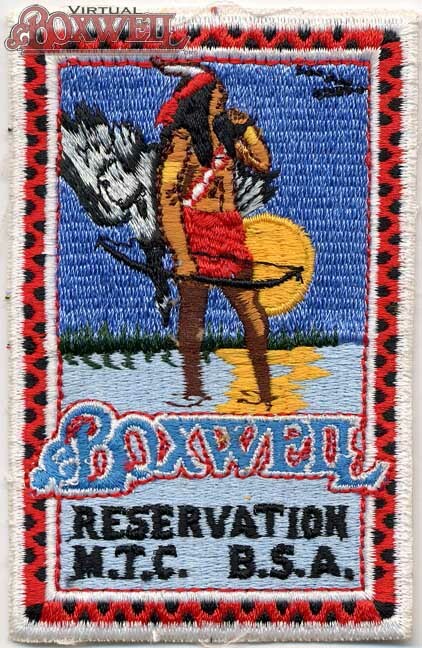 Patches are also an important item for Scouts. 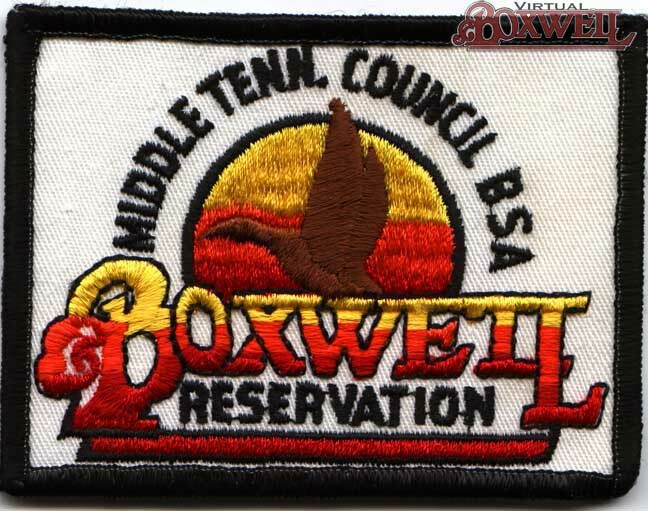 Patches are a great way to have an emblem of one's experience at camp. With new patch designs every year, Scouts have a great opportunity to purchase a "badge of honor." 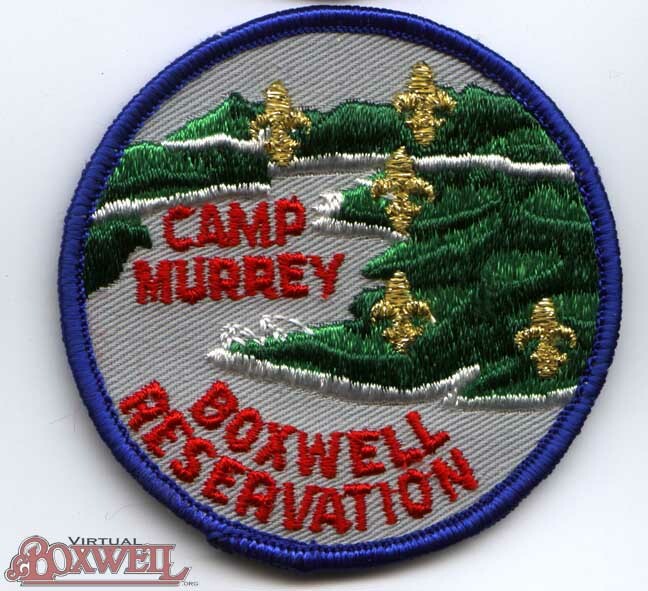 Indeed, many Scouts start on their road to patch collecting at camp (an age old Scout related activity) because of the wide variety of patches offered at camp. 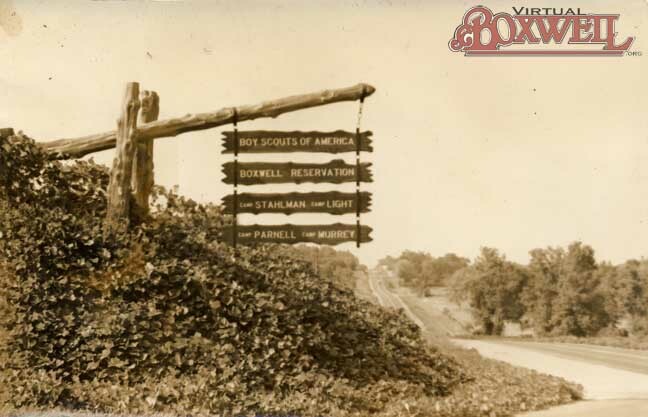 With merit badge sessions and the Trading Post, it is hard to imagine a Scout having much free time. 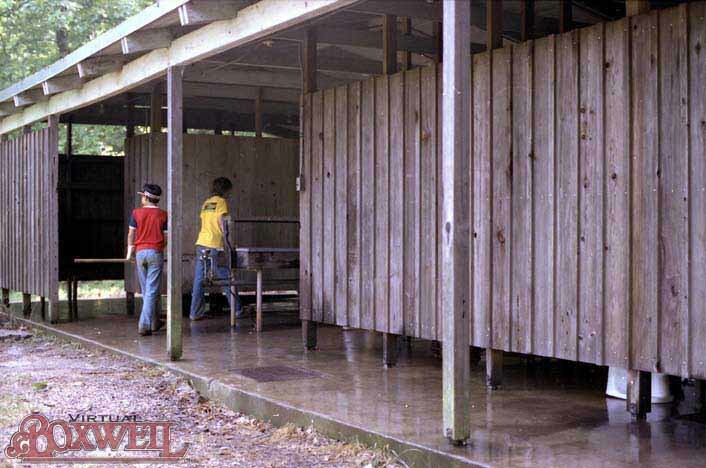 Among the many tasks facing a Scout each day is the possibility of showerhouse duty. 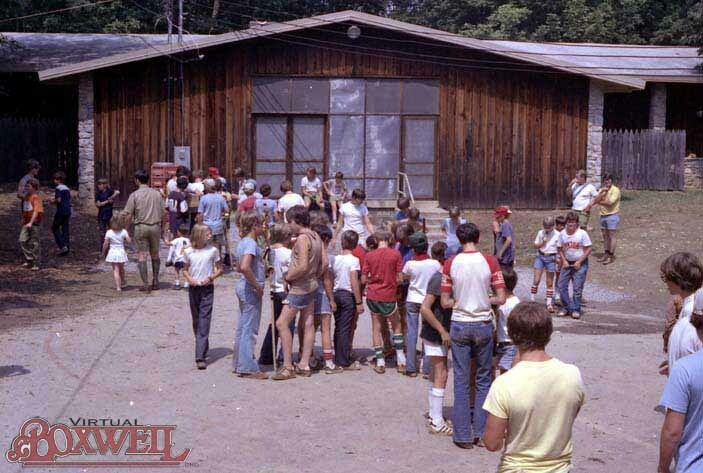 Every morning, the staff announces what campsite is going to clean which showerhouse. 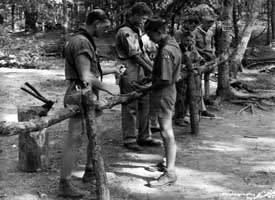 Thus, after breakfast, a troop must go to the back of the dining hall, get the needed material and clean their specified showerhouse. With three showerhouses and at least 15 sites, each troop only has to perform this function once a week, but it sends a message about keeping things clean. 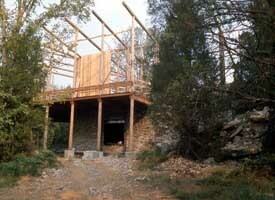 The campsite itself must also be kept in good order. 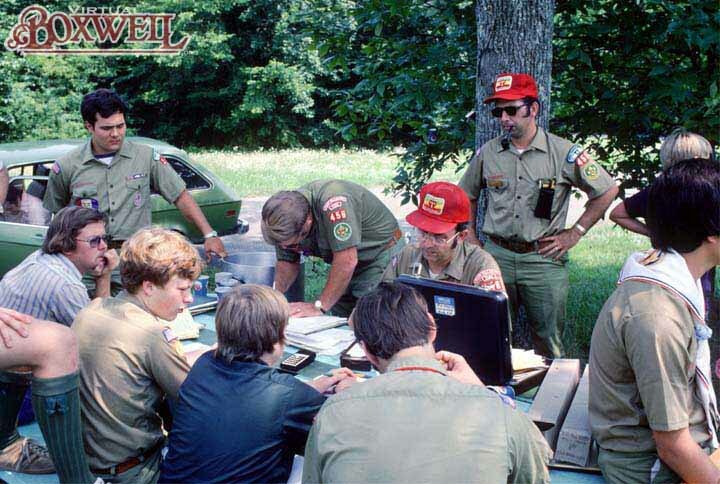 Every day the campsite has a site inspection by a member of the staff, who comes by when Scouts are in merit badge sessions. Those sites that do well not only get recognition in front of the whole camp, but also an award of some kind to take home with them at the end of the week. Recognized at the Friday night campfire in front of the whole camp, this is a valuable award. 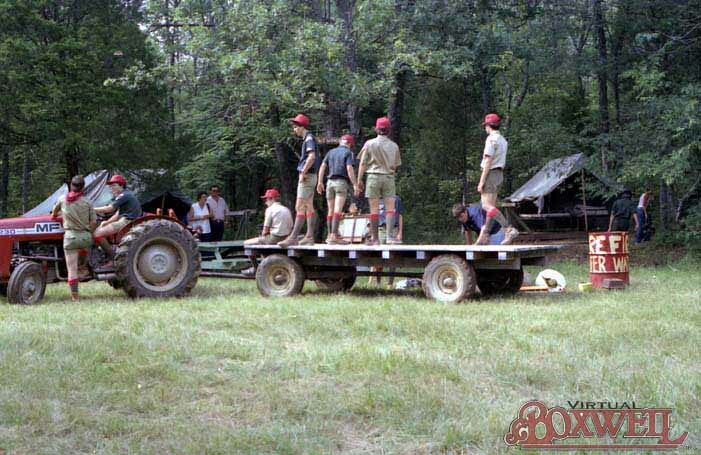 Finally, Scouts must also learn to live with other people. Sharing a room with a sibling is one thing, but learning to cope with living with your best friend or someone you may not be that close with is an important lesson for learning how to survive in the outside world. 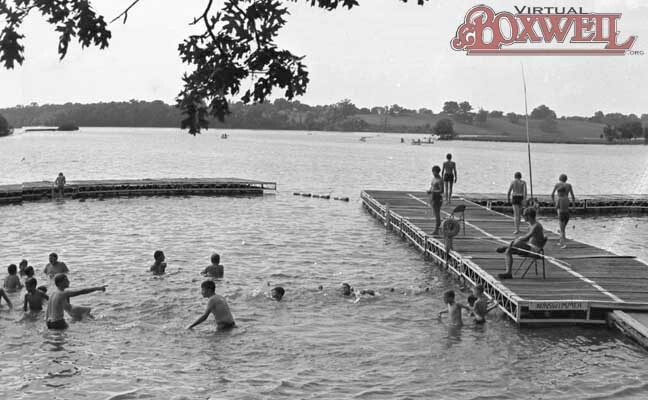 Thus, it is these little activities that truly make camp worthwhile and demonstrate it is a wholly different entity than a school house. One gets "book learnin'" at school, but a Scout gets "life learning" at camp.